New Year Everyone, we present to you another chance to win Cozyvape Mouse 13W 380mAh Pod System for free! 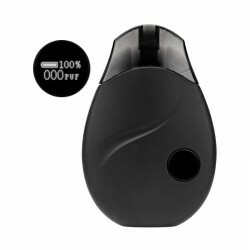 The Authentic Cozyvape Mouse is a designed refillable pod system, which is quite simple to use for its no-button design. When you inhale, it automatically initiates. The cartridge is compatible with eliquid and nicotine sale, and has excellent taste. The screen will show the puffs after you inhale. It comes with a 380mAh inbuilt battery.